Lilia Neuman fled Ukraine when the Nazis invaded and now lives in Sweden. The social worker who helps her, Maria Suchotina, is a “blessing,” Lilia says. Lilia Neuman of Sweden smiles when she talks about her social worker, saying that she “helps me with everything. 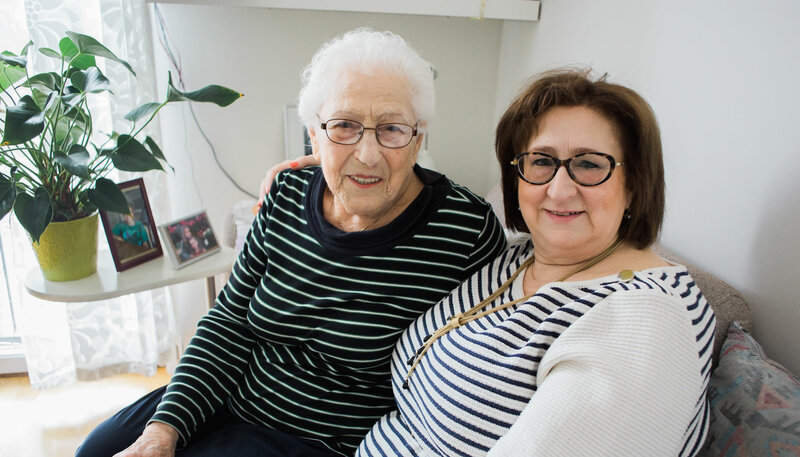 It’s a blessing to have her here.” This vital assistance, provided by the Jewish Community of Stockholm through grants from the Claims Conference, enables 95-year-old Lilia to stay safely in her Stockholm home. Born in Belarus in 1922, Lilia grew up in Ukraine; her father, a tailor from Poland, died before the war, leaving her mother to take care of Lilia and her two brothers. After graduating from high school in 1940, Lilia moved to Kharkov where she studied to become a teacher. She was working in a school when the Germans invaded the Soviet Union in June 1941. Lilia and her family were forced to travel thousands of miles to escape persecution. They finally settled in Stockholm, Sweden where she has lived since 1969. 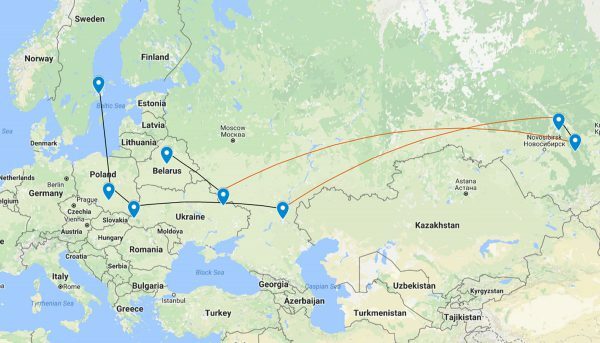 After the war ended, Lilia’s family went to live with a relative in western Ukraine. There, Lilia met her husband, also a Holocaust victim. She proudly says they married after one week and spent 57 years together. Lilia, her husband, and their two young children moved to Poland in 1957. They stayed until anti-Semitism there made life difficult, and they immigrated to Sweden in 1969, where Lilia worked in a store in Stockholm, and her husband found a job in a factory. After her husband died in 2004, Lilia moved to a small apartment to be closer to her two children, both of whom also live in Stockholm. Lilia received a one-time Hardship Fund payment from the Claims Conference several years ago. She receives services through the Jewish Community of Stockholm, and attends socialization programs during the year. Currently, a housekeeper comes several times each week. Her social worker, Maria, visits once or twice a week and the two women sit over coffee and chat about their families, Lilia said. She has grandchildren and great-grandchildren and is happy her grandchildren insist they celebrate Shabbat dinner together every week. “We have to keep the family together, it’s very important,” she says. Our assistance makes it possible for Lilia to live independently. “I am very pleased and grateful for this help,” she said. We will be there for Lilia for as long as she needs the aid, helping her feel comforted and secure.